Oh what a great spot to see desert wildflowers jumping up in the rain. A very nice campground. With the Old Age Pass I paid $5/ night. 10 nights and I had already shot the camping budget. Darn. A nice shady shelter, flush toilets and drinking water. 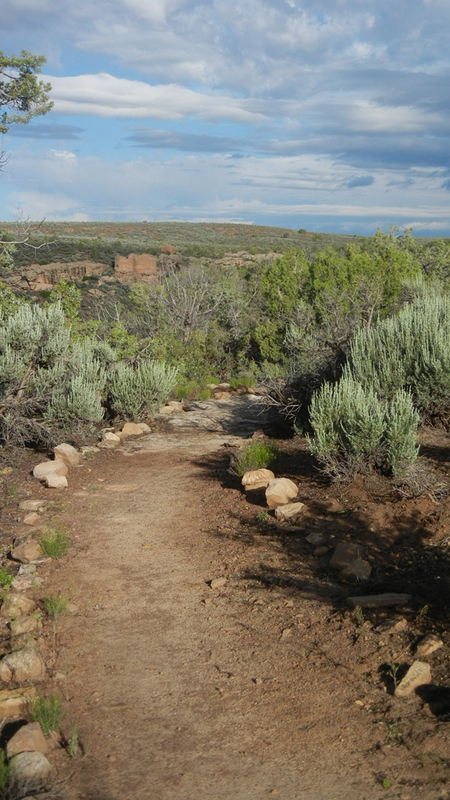 Lots of Puebloan ruins, lots of wildflowers, lots of hikes. The above path led to a great view of the ruins. 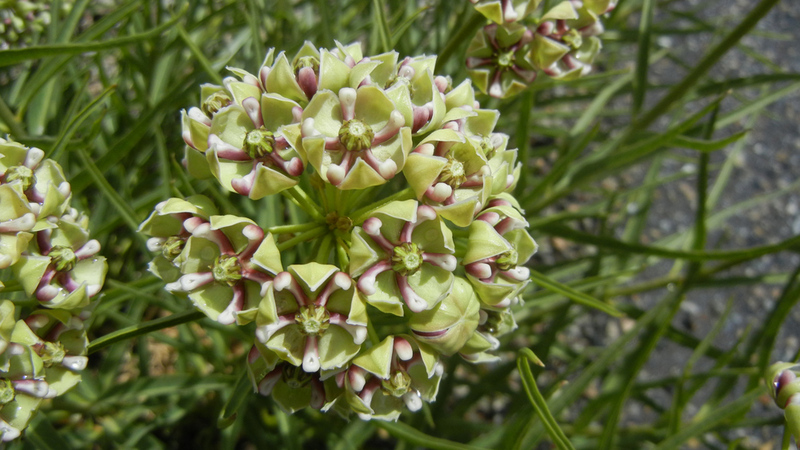 The flower below is a whorled milkweed. This next picture is of the rose seed …. a feather-like marvel. The Hovenweep National Monument is a gem and worth a visit. May your camping budget be larger than mine! 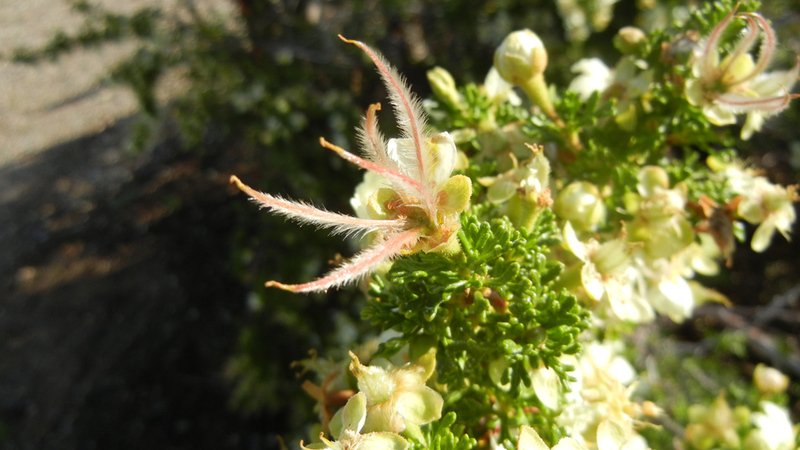 This entry was posted in Camping, Truck Camping Hints and tagged Hovenweep National Monument, rose seed, whorled milkweed. Bookmark the permalink. Lovely, inviting path there, -brings out the wanderlust in me. Beautiful fleurs too….